What are Twistfix Ground Anchors? Twistfix ground anchors are mini-helical-piles and soil nails that are hammered into the earth to support, stabilise or restrain a variety of permanent or temporary structures. 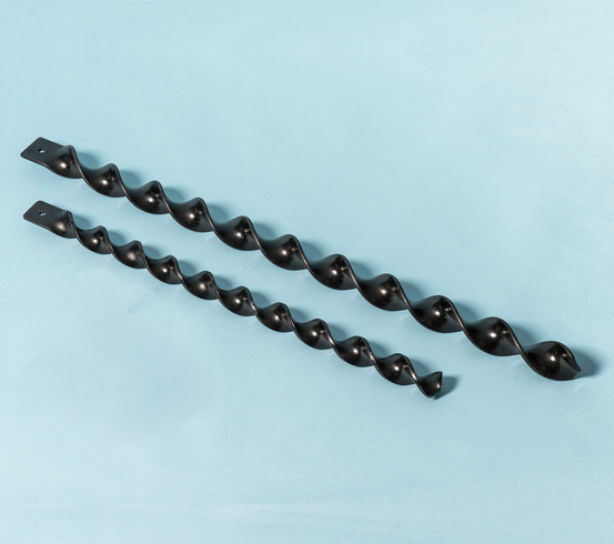 Our hammer-in ground anchor systems are precision manufactured with longitudinal helical blades that force the anchor to cork-screw into the earth as it is hammered. Installation is simple and quick with minimum disturbance, saving time and labour costs. Where can Hammer-in Ground Anchor Systems be Used? supporting platforms and signs alongside railways, waterways and highways. anchoring a variety of articles securely to the ground, including sheds, benches, greenhouses, etc. tethering with ropes, straps or chains to anchor barges, marquees, trailers, caravans, etc.